Snow will begin Tuesday morning. Freezing rain will continue for several hours before changing to rain Tuesday afternoon. Tonight: Cloudy. A chance of light snow in the evening, then light snow likely after midnight. Rapidly accumulating snow could make travel hard over some locations. Tuesday: Snow. Moderate snow accumulation. Precipitation will turn back to snow Tuesday night as colder air returns in the wake of the low pressure system. Wind gusts up to 30 miles per hour. Monday: Mostly cloudy. Highs in the upper 30s, lows in the upper 20s. More rain to end the week: Another potent storm system brings a threat of some heavier rain late Thursday (Valentine's Day) and Friday. 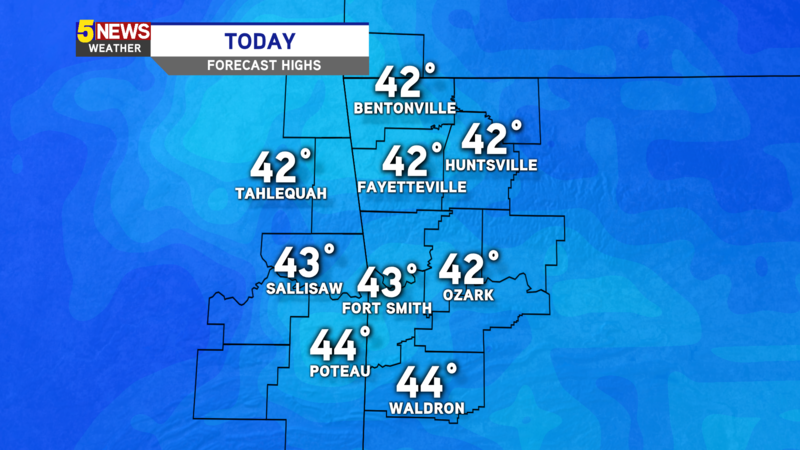 Sunshine will return on Saturday but with cooler temperature with highs in the upper 40s. There may be a few upper 30s on the map in areas to the north and east.